Stretch Texture mode lets you edit your texture by stretching it to fit the face it’s painted on. 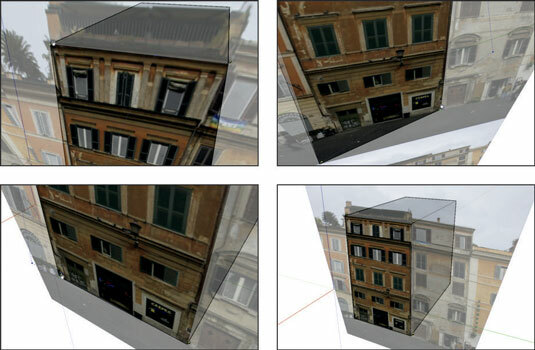 If you want to map a photograph of a building facade to your model, this is the mode you want to use. 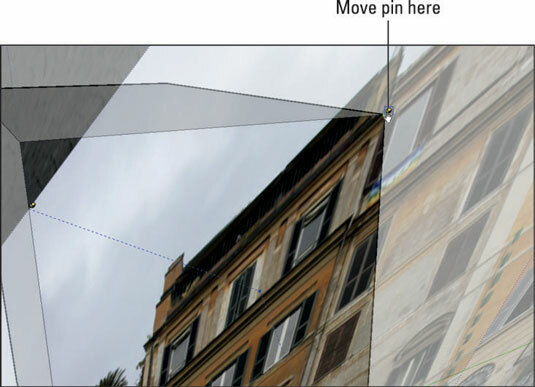 In the SketchUp Help documentation, Stretch Texture mode is called Free Pin mode, in case you’re interested. The basic metaphor here is one of a photograph printed on a piece of really stretchy fabric. Stretch the fabric until the photo looks the way you want and then hold it in place with pins. 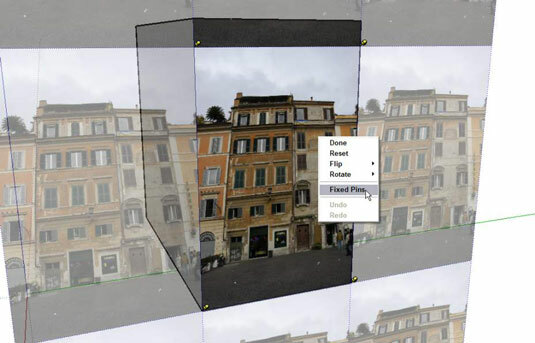 1With the Select tool, click the face with the texture you want to edit. Choose Edit→Face→Texture→Position. A quicker way to get to Texture Edit mode is to right-click the textured face and choose Texture→Position from the context menu. Deselecting Fixed Pins switches you to Stretch Texture mode (or Free Pin mode if you’re reading SketchUp’s online Help). Instead of four differently colored pins with little symbols next to them, you see four identical yellow pins. 3Click a pin to pick it up. Your cursor clenches into a fist, and the pin follows it as you move your mouse. Press the Esc key to drop the pin you’re carrying without moving it; pressing Esc cancels any operation in SketchUp. 4Place the pin at the corner of the building in your photograph by clicking once. 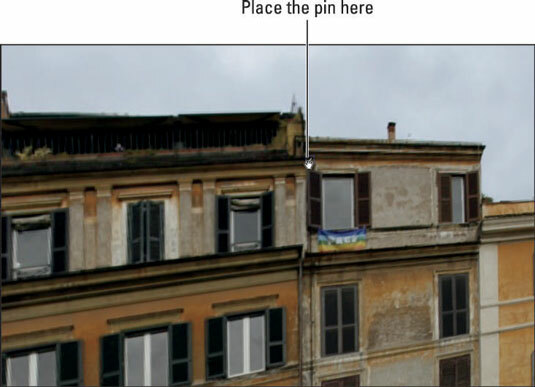 If the pin you’re carrying is the upper-left one, drop it on the upper-left corner of the building in your photograph. 5Click and drag the pin you just moved to the corresponding corner of the face you’re working on. If the pin you just moved is the upper-left one, drag it over to the upper-left corner of the face whose texture you’re editing. 6Repeat Steps 3–5 for each of the three remaining pins. If you need to, feel free to orbit, zoom, and pan around your model to get the best view of what you’re doing; just use the scroll wheel on your mouse to navigate without switching tools. A good way to work is to pick up and drop each yellow pin in the general vicinity of the precise spot you want to place it. Then zoom in and use your better point of view to do a more accurate job. 7Press Enter to exit Texture Edit mode. If you don’t like what you see, go back and edit the texture again; there’s no limit to the number of times you can muck around.